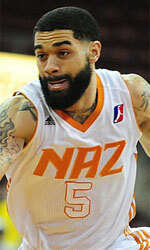 Goyang Orions (KBL) added to their roster 33-year old American small forward Jason Siggers (191-85, college: Albany). He joins another USA player Darryl Monroe which is already in the roster. Siggers played last season at Rishon in Israeli Winner League. In 26 games he had 14.3ppg, 2.5rpg, 2.5apg and 1.0spg. A very spectacular season in his career as he was named to Israeli League All-Star Game. The previous (2017) summer he played at Titanes Licey (LNB) in league where in 6 games he recorded very impressive stats: 15.3ppg, 3.7rpg, 3.3apg and 1.2spg in 2017 season. 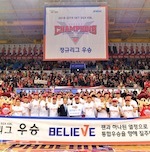 Siggers won Israeli National League championship title in 2016. He is quite experienced player. Siggers' career allowed him to visit three different continents, while he played in four different countries. Siggers tasted the life as pro basketball player in Europe, Latin America and of course North America. He has played previously professionally also in Denmark (Bakken), France (Saint Quentin, SIG Strasbourg, SPO Rouen, Boulazac Basket and Lille Metropole) and Switzerland (Boncourt). Siggers attended University at Albany until 2007 and it will be his twelfth (!!!) season as a professional player.